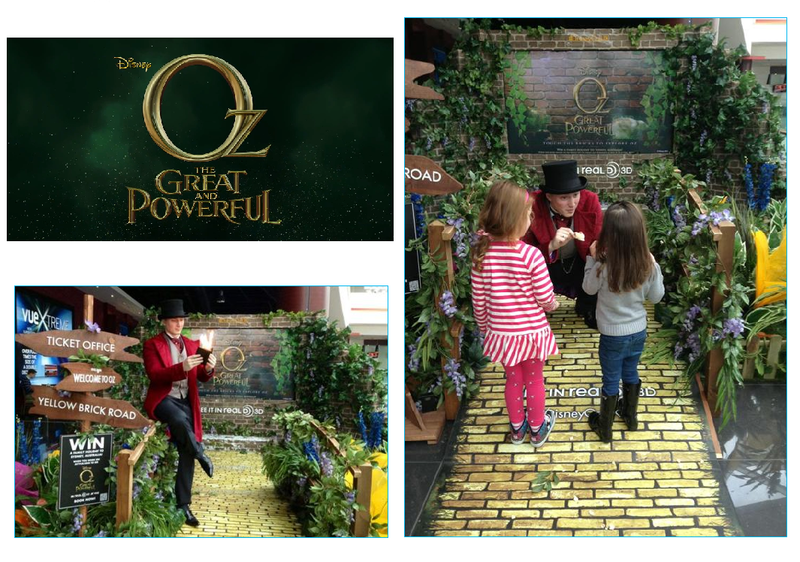 To source and supply professional magicians, who can perform magic routines in cinemas nationwide promoting the launch of Disney's - Oz the Great & Powerful. Our challenge was to source professional magicians at 10 locations nationwide, who all had the ability to tailor their magic to the whole family. From Plymouth to Edinburgh all the magicians we supplied were members of the elite Magic Circle, so it's fair to say we served up some magical treats! Within the confines of a cinema foyer, our magicians adapted their magic for this environment. Performing at regular intervals throughout the day, to hundreds of people. The final touch was to dress them all in Victorian magicians attire, so they looked the part too! 100% attendance and great feedback = One happy client!